Leading Enterprises Trust Dataguise for Sensitive Data Governance. Dataguise gives data-driven enterprises a simple, powerful solution for global sensitive data governance. DgSecure precisely detects, protects, monitors, and audits sensitive data, on premises and in the cloud. With a single, dashboard view of sensitive data exposure, protection, policies, and trends, IT and business leaders get the insights they need to manage risk and compliance while maximizing the value of information assets. We safeguard the sensitive data of thought-leading companies committed to being responsible data stewards. Stop by Booth A25 and Pick Up Some Swag. Dataguise will be in Booth A25. Stop by, pick up a hat, and see a demo of the industry’s first solution optimized for sensitive data discovery in the cloud. 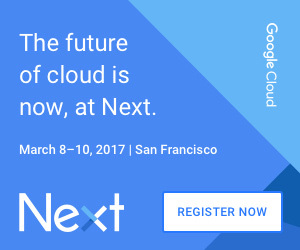 Not Yet Registered for Google Cloud Next?